From January 2018, all local space heaters manufactured for sale in the EU must comply with a minimum efficiency standard under Lot 20 of the Energy Efficiency Directive. Chris Stammers, Product Marketing Director for Dimplex, assesses the impact of Lot 20 and examines what installers need to know. Despite the uncertainty of Brexit, one thing remains constant across the EU – our need to use energy more efficiently. The EU is committed to achieving a 20 per cent energy saving by 2020 and if this is to happen, all member states (including those that intend to leave) must continue to drive energy efficiency at all stages of the supply chain, from production to final consumption. A number of ‘product lots’ have already been rolled out as part of the 2012 Energy Efficiency Directive (EED), covering everything from televisions, lightbulbs and washing machines, to machine tools and compressors. Next is Lot 20, focusing on local space heaters – and when you consider that more than half of energy consumed in our homes is used to heat water and space, it is easy to see the difference it could make. Lot 20 of the EED (2015/1188) states that all local space heaters manufactured for sale in the EU after 1st January 2018 which use electricity, gaseous or liquid fuels, must comply with a minimum efficiency standard. This includes electric radiators, electric underfloor heating and electric and gas fires. A second regulation (2015/1185) sets out the same requirement for space heaters which use solid fuels, such as stoves and fireplaces, from 1st January 2022. 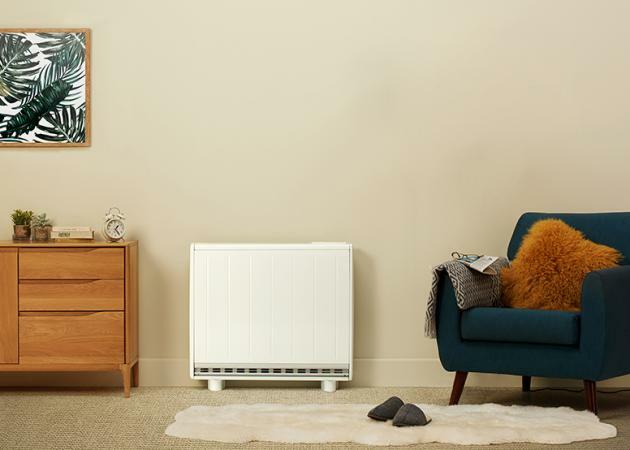 Local room (or space) heating products are defined as appliances that provide heat to indoor spaces by generating heat in the location within which they are situated. Like other product categories, the aim is to rule out inefficient technologies and reduce the energy used in our homes, helping to achieve our overall carbon reduction targets. The onus on such improvements is firmly with the manufacturer. This regulation was ratified in April 2015 and Dimplex, like other reputable manufacturers, has been working hard since that point to redesign products to suit the regulation. As a result, our entire product portfolio will be compliant before the end of 2017, ahead of the January 2018 deadline. Many installers often think of new legislation as an inconvenience, but in contrast Lot 20 will create opportunities. The key to driving efficiency of local space heaters is in the way in which their operation is regulated using intelligent timers and controls. By specifying the latest products, installers can give their customers confidence that they have a better quality product, using smart technologies that can help keep running costs to a minimum. It is also a great opportunity to re-engage with previous customers, inform them about the legislation and upsell to the latest compliant devices to ensure maximum efficiency (and minimum running costs). Crucially for installers and for their customers, Lot 20 requires that the consumption and emissions for local space heaters must be reduced by applying “existing, non-proprietary technologies” without an increase in the combined costs of purchasing and operating the products. There are a series of features that may be incorporated into relevant products to achieve this, including mechanical and electrical room temperature controls, with day or week timers, many of which have actually been available for many years – often purchased as add-ons. These controls must now be integral to new devices, ensuring that they meet the requirements of Lot 20. However, with the recent advancements in the Internet of Things and smart technologies, there is a real opportunity for electric space heaters, in particular, to drive efficiency through intelligent, adaptive controls. The latest products can include temperature control with presence detection or open window detection, distance control via an app, and even adaptive start control to suit the requirements of the user. Dimplex’s Q-Rad electric radiator, for example, a heater which is already Lot 20 compliant includes ‘Eco-Start’, a delayed-start anticipatory control – the heater, rather than the user, decides when to turn on to ensure target temperature is achieved at exactly the right user-selected time. By researching and developing combinations of these features, market leaders like Dimplex can provide consumers with functional, user-friendly and economical products that comply with Lot 20 legislation. The regulation applies to all products manufactured for sale within the EU, even if they were made in a factory outside of the EU. If you’re not sure, the best advice is to stick with a reputable manufacturer that you can trust, so you can be sure that the product is compliant.